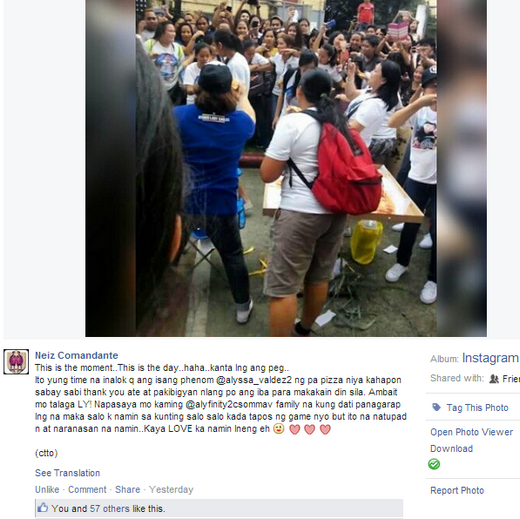 Alyssa Valdez's Pizza Party with her Fans: Photos Here! Photos of the day: How often do you get to see a volleyball superstar do a good deed like this? 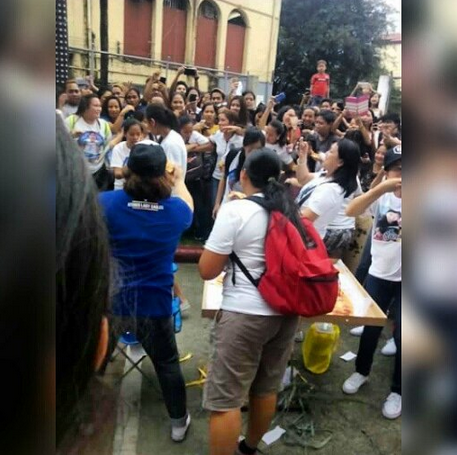 Ateneo's Alyssa Valdez just made her fans happy by holding a pizza party. A number of Alyfinity members got a rare chance to eat and bond with their beloved athlete.